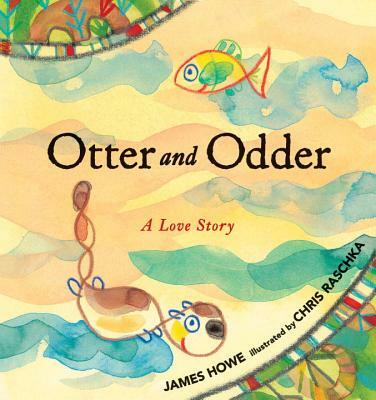 When an otter falls in love with a fish, can he dare to follow his heart? A delicious ode to nonconformity from a stellar picture-book pair. The day Otter found love, he wasn't looking for it. He was looking for dinner. But then he gazed into the round, sweet, glistening eyes of Myrtle the fish, and he knew. "Impossible," he said. "I am in love with my food source." As for Myrtle, her first desire was: Please don't eat me. But soon her heart awakened to a future she could never have imagined. The inseparable duo played hide-and-seek and told each other stories, but everyone said that was not the way of the otter. Could their love (and Myrtle) possibly survive? Aided by Chris Raschka's illustrations in a fresh faux-naïf style, James Howe tells a warm, witty tale about finding kindred spirits in the oddest of places-and having the good sense to keep them.